Rockabye Mommy was so honored to be asked to participate in the TMG Pre-Oscar Luxury Lounge that took place on Feb 27, 28 & March 1 at the swanky penthouse suites of the Beverly Hilton Hotel. Three days at the Bev Hilton?? Twist our arms! 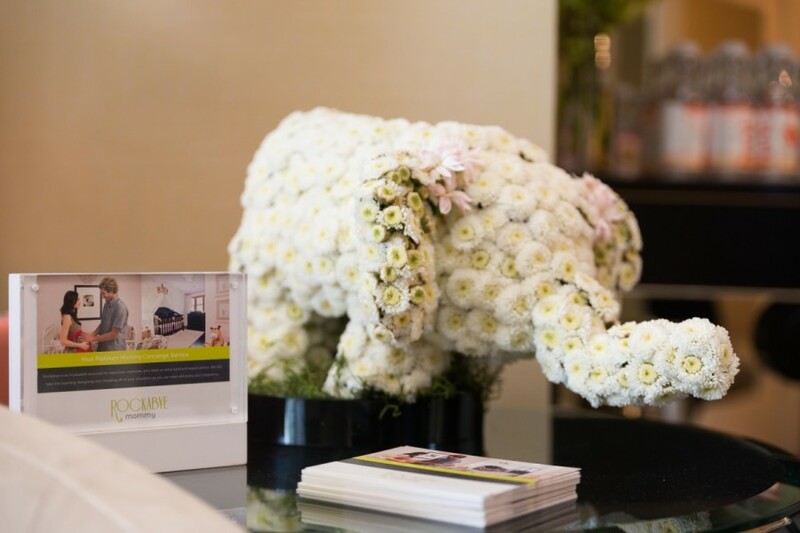 The luxe event was the place to be for celebs to receive pampering treatments right before the Academy Awards show. With a jewelry lounge for red carpet jewelry pulls and a beauty lounge with massages, facials, hairstyling, eyelash extensions, manicures and self-tanning…whew! It was an entire pampering experience for the exclusive invitation only crowd and we had a blast entertaining them. We were on hand to showcase our fab kids room design services, so we created a nursery vignette with a super cool Babyletto crib and Dwell Studio rocker from Wayfair. 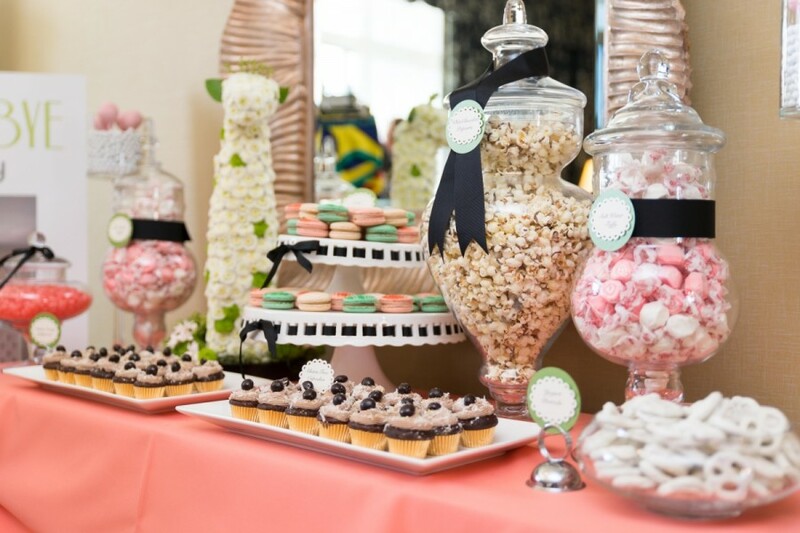 To make sure the guests didn’t leave hungry, we created a delicious dessert and candy bar with gluten and oil-free cupcakes made by Mareya Ibrahim of Eat Cleaner. 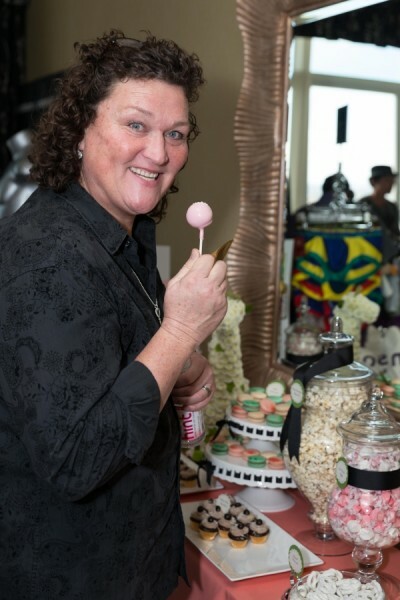 Dot Jones from Glee loved the cake pops and was totally on cue with her jokes, she was so much fun! 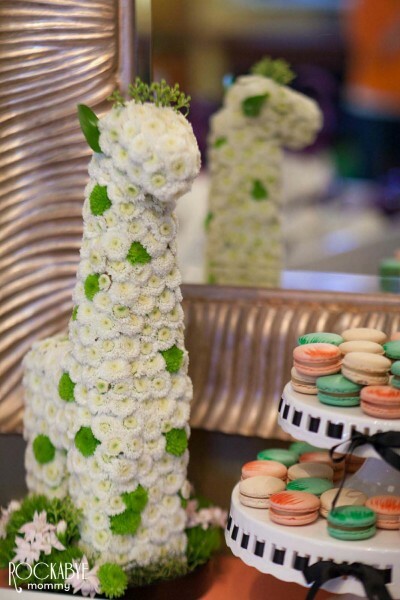 To tie in our Jungle Jubilee baby shower theme, we asked the uber talented Anne from Hydrangea Bleu to create a giraffe and an elephant animal floral sculpture for the dessert table display and she did an UH-mazing job! The florals were incredible! The icing on the cake for this event was our collaboration with Kitson Los Angeles who sponsored the tote bags we used for all of our swag. Ashley and I put together a swag bag full of our favorite products for mommy and baby…which I’ll highlight in a future post. We made our rounds visiting the other sponsors and I even snuck in on Willie Gault’s massage! I’m sure he didn’t mind the interruption hehe. Overall, it was such a successful event and we had a fabulous time. Thanks so much to TMG International. We can’t wait for next year!